LANCASTER, Pa., 2015-8-4— /EPR Retail News/ — Auntie Anne’s is continuing the fight to end childhood cancer by teaming up with Alex’s Lemonade Stand Foundation with a goal of raising over a half a million dollars this summer to help fund childhood cancer research. Beginning today, Monday, August 3, through Sunday, September 27, Auntie Anne’s will be asking guests who visit their local store to “give hope” by purchasing a paper pretzel ribbon icon for $1 in the fight to end childhood cancer. As a token of appreciation, Auntie Anne’s will provide a $1 off coupon for the next purchase of any pretzel product or drink. One hundred percent of the proceeds collected through the in-store campaign will be donated to Alex’s Lemonade Stand Foundation. This is Auntie Anne’s fourth annual nationwide fundraising campaign for Alex’s Lemonade Stand Foundation. In addition to the eight-week campaign, participating stores will be selling “hope” bracelets and a pretzel ribbon icon for a $5 donation on August 20, National Lemonade Day. These accessories are a symbol of the hope that is being given to those who are in the battle of childhood cancer and their strength in the constant fight. Since their partnership began in September 2011, Auntie Anne’s has helped Alex’s Lemonade Stand Foundation raise nearly $2 million dollars, through in-store fundraising campaigns, coin canisters, local pretzel rolling contests, and Auntie Anne’s C.A.R.E.S. Charity Golf Tournament. To date, the soft pretzel company has helped fund the equivalent of 37,000 hours of cancer research. Alex’s Lemonade Stand Foundation (ALSF) emerged from the front yard lemonade stand of cancer patient Alexandra “Alex” Scott (1996-2004). In 2000, 4-year-old Alex announced that she wanted to hold a lemonade stand to raise money to help find a cure for all children with cancer. Since Alex held that first stand, the Foundation bearing her name has evolved into a national fundraising movement, complete with thousands of supporters across the country carrying on her legacy of hope. 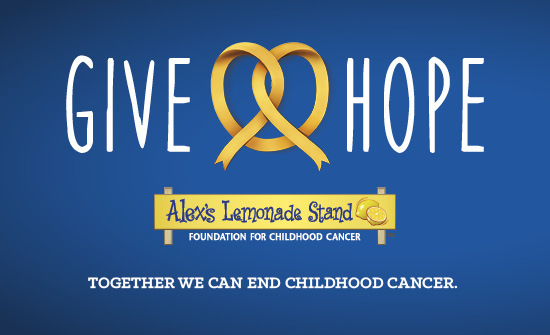 To date, Alex’s Lemonade Stand Foundation, a registered 501(c)3 charity, has raised more than $100 million toward fulfilling Alex’s dream of finding a cure, funding over 500 pediatric cancer research projects nationally. For more information on Alex’s Lemonade Stand Foundation, visit AlexsLemonade.org.  This entry was posted in Food & Beverage, Management, Philanthropy, Retail, Retailer and tagged Alex’s Lemonade Stand Foundation™, Auntie Anne's, Bill Dunn, help fund childhood cancer research. Bookmark the permalink.